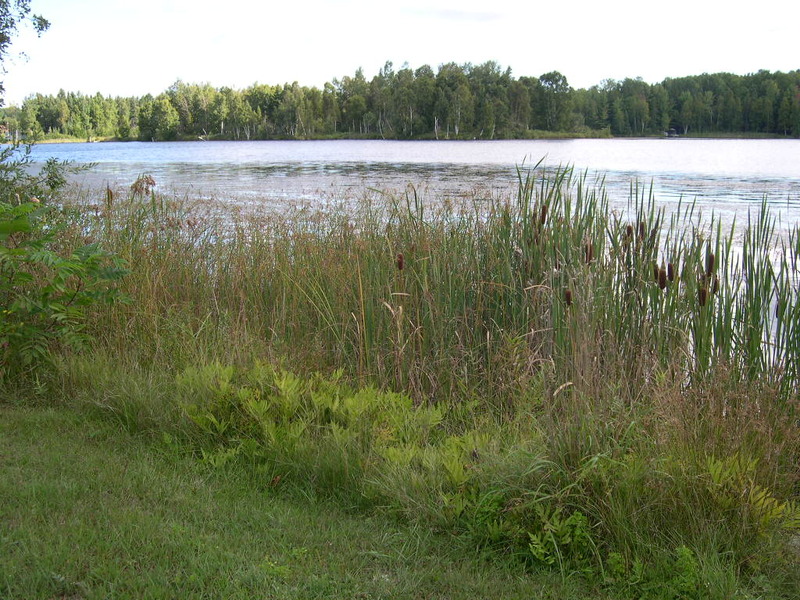 Northern Michigan's lakes, streams and wetlands are precious natural resources. Their protection is vital in preserving the 'Up North' character that is so special. One of the most important ways you can protect your lake or stream is to control erosion and sedimentation of your shoreline or streambank. Erosion and sedimentation can have a serious impact on water quality, wildlife habitat, and property values. An effective method referred to as "biotechnical erosion control" provides the most cost-effective, environmentally friendly and aesthetically appealing alternative to controlling accelerated shoreline erosion. The Watershed Council can develop restoration designs based on this method, as well as apply for the required state and local permits and coordinate the installation of the project. For more information about the Restoration Program, contact our Watershed Protection Director at (231) 347-1181. The Watershed Council can provide different levels of contract services for shoreline and streambank restoration needs. The first step is to complete our Shoreline, Streambank, and Wetland Questionnaire. After reviewing your questionnaire, we will contact you to discuss your options. This may include scheduling a site assessment where Watershed Council staff will visit your shoreline or streambank property, document the current conditions, and recommend courses of action. In some cases, a restoration plan or design is recommended to curb the progression of erosion and sedimentation, and "restore" the shoreline or streambank to its former condition. An effective method referred to as "biotechnical erosion control" provides the most cost-effective, environmentally friendly and aesthetically appealing alternative to controlling accelerated shoreline erosion. The Watershed Council can develop restoration designs based on this method, as well as apply for the required state and local permits and coordinate the installation of the project. More than 2,500 dams have been built and still exist across Michigan’s rivers. Each dam produced a perceived benefit – to move timber, operate mills, generate power – but each has also contributed to extensive cumulative impacts. Dams alter the flow of water and prevent the natural movement of sediment in the river channel. They also block fish passage, limit access to habitat, fragment river ecosystems, and impair water quality both in the reservoir and downstream. Many of the constructed dams within the state are aging or obsolete requiring maintenance to keep them safe and functioning properly, often placing a heavy burden on property owners. The removal of outdated and dilapidated dams and other structures from a river can be beneficial. To face the growing crisis of aging dams in our waters, Michigan can turn to dam removal not only as an effective river restoration tool, but also as a community revitalization opportunity.